The Nissan NV200 is a smart alternative for the tradesman who needs a less costly, more maneuverable alternative to the full-size cargo van. 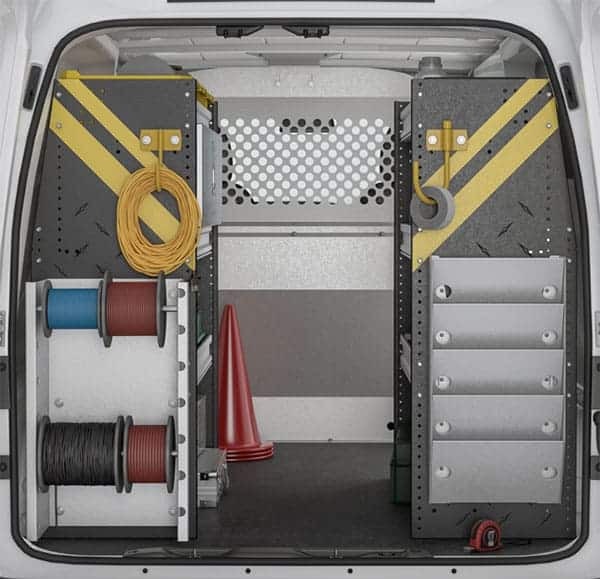 Upfitting with Ranger Design's commercial van equipment and accessories will allow you to maximize your Nissan NV200's cargo space and work more productively. 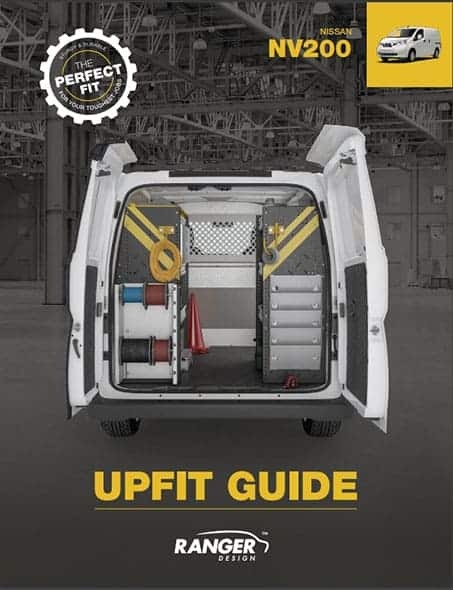 To make it easier for you to get your cargo van in service as soon as possible, we are offering complete van upfitting packages and accessories, custom built for your trade. 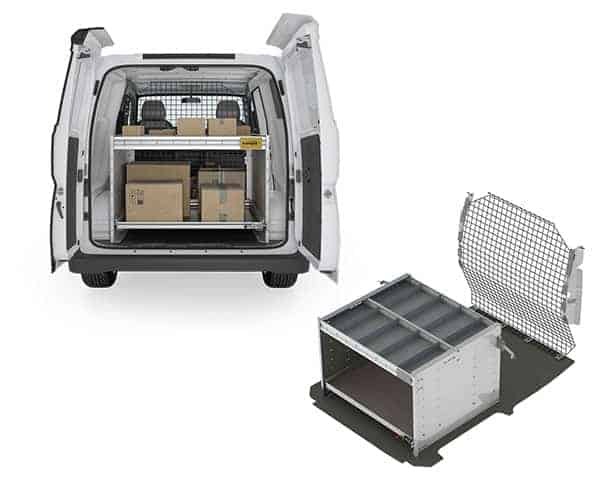 Ranger Design's very adaptable vehicle and van shelving & bin packages are designed to suit every trade and to satisfy every need. From our easy one person operation ladder racks for vans to Ranger Design's signature Fold-Away shelving & Axess Trays, to an ergonomic mobile workstation, Ranger Design has everything to increase your productivity. That's why Ranger Design has a full line of Nissan NV200 van accessories that provides the finishing touch that makes the difference. Every tradesman has preferences that help them work and get organized with maximum efficiency. Our wide range of options lets you choose what works best, so you have everything where you need it, when you need it. Quiet Products Provide Greater ComfortEliminate annoying Rattles! Ranger Design commercial van equipment eliminate annoying rattles. This produces a more comfortable and stress free ride. The unique design enables us to offer you an industry leading, no hassle guarantee, and means that not only does the products perform quietly when it's new, but will continue to perform year after year.